For much of 2018, the city of Rochester has been celebrating the 200th birthday of Frederick Douglass. A formerly enslaved man who fled to New York for his freedom, Douglass captivated the nation with his fiery speeches and writings calling for equal rights. 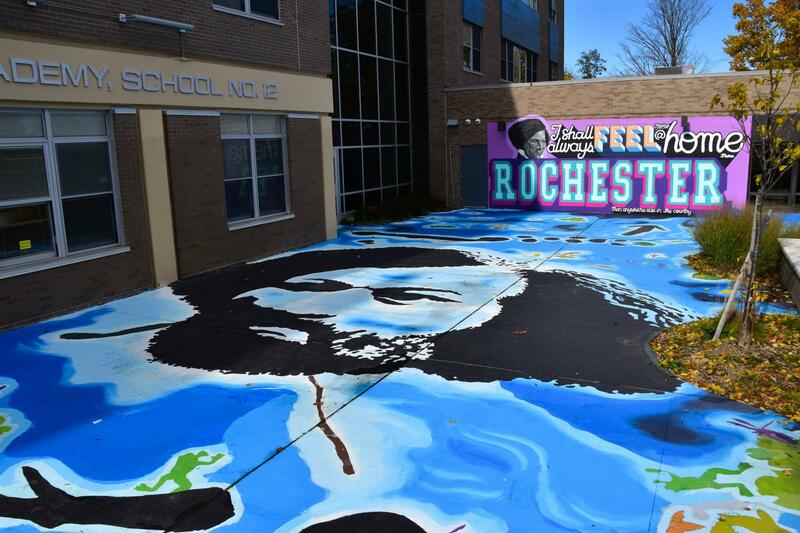 Because Douglass’s imprint on Rochester is so strong, the city has planned a number of important events to honor his legacy. Frederick Douglass was born in Maryland in 1818. His mother and grandmother were both slaves, whereas his father was believed to have been his master. After teaching himself how to read, Douglass escaped from slavery at the age of 20 and fled to New York, ultimately settling in Rochester in 1847. Once in Rochester, he founded the North Star paper to promote the abolition. The North Star was not the first pro-abolition newspaper produced at the time, but it was the first to be owned and written by African-Americans. To finance his paper, Douglass went on a speaking tour of the United Kingdom. Douglass gave many speeches promoting abolition and equal rights, both in the United States and abroad, during which he quickly garnered a reputation as a great orator. In his most famous speech “What to the Slave is the Fourth of July” delivered in Rochester in 1852, he excoriated the nation for its hypocrisy in commemorating freedom from British rule while so many of its citizens remained enslaved. Douglass also made use of the then-new technology of photography to reform the image of African-Americans in the eyes of American society. In his photos, he is always depicted looking stern and dignified, in contrast to the popular depiction of black people as degraded and pathetic. Douglass also called out the racism of the Church at the time. “But it seems, the kingdom of heaven is like a net; at least so it was according to the practice of these pious Christians; and when the net was drawn ashore, they had to set down and cull out the fish. Well, it happened now that some of the fish had rather black scales; so these were sorted out and packed by themselves,” he said in 1841. Douglass also met and worked alongside many other campaigners for equal rights. For instance, he was the only man to appear at the Seneca Falls convention, where he argued passionately for women’s rights. He also collaborated with Susan B. Anthony to promote the causes of both women’s rights and abolition. They did have their disagreements later in life — most notably, Douglass supported the Fifteenth Amendment, which Anthony opposed because it did not grant equal voting rights to women. Nevertheless, the two remained friends, and Anthony gave the eulogy at Douglass’s funeral. 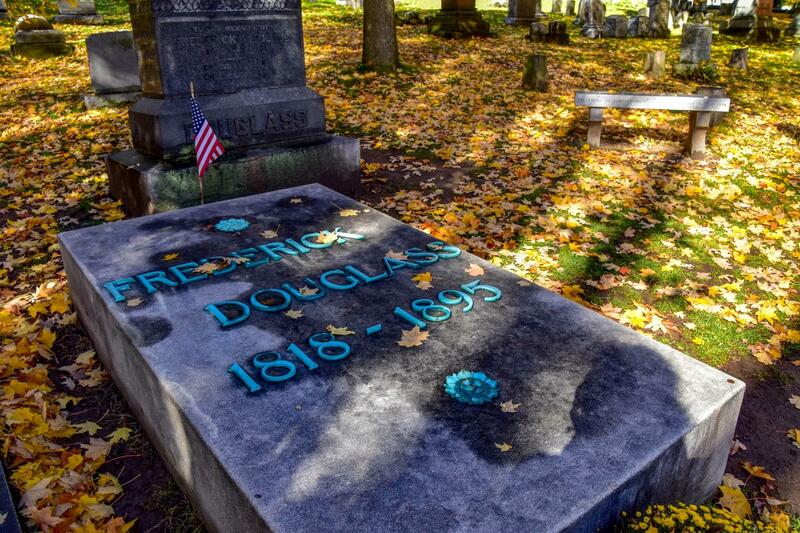 Douglass lived in Rochester for longer than any other city in his life. On June 9, 1899, the Douglass Monument, the first monument to an African-American, was unveiled in this city. Since then, Douglass has been regularly celebrated for his work. This year, being the bicentennial of Douglass' birthday, is a particularly special year; a host of events have been planned in honor of his life and legacy. 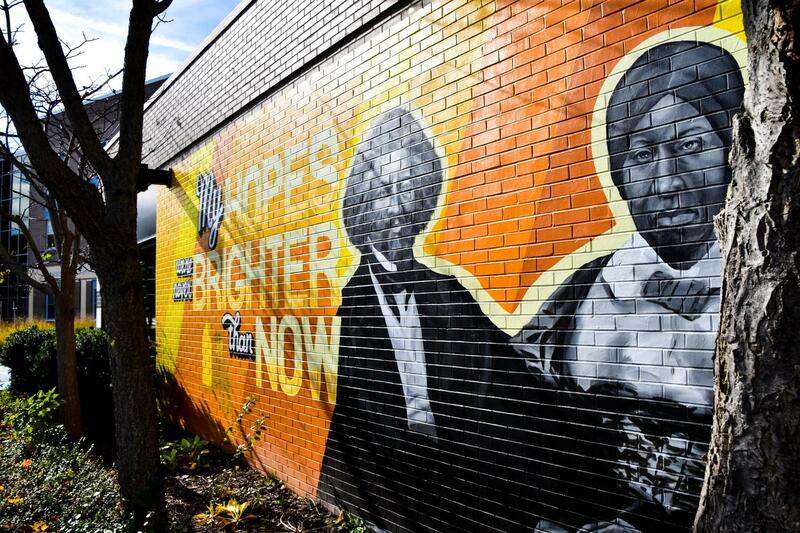 A primary goal of the Bicentennial celebration has been to raise awareness and understanding of Douglass’ life and accomplishments, as well as to inspire and motivate the citizens of Rochester to pursue social justice and community revitalization in their own time. To this day, Rochester remains a largely segregated city with vast disparities in wealth and social opportunities between caucasian and marginalized peoples in the area. The organizers of the bicentennial hope that the events will inspire citizens of Rochester to correct some of these imbalances. Local events honoring Douglass have been numerous, and targeted toward a wide range of age groups. Some of these events included the “Year of Frederick Douglass Proclamation,” on Jan. 4. Another commemorative event was the production of a play featuring Douglass, called “The Green Book Chronicles,” at the Sankofa Theater Festival from Aug. 29 through Sept. 1. Lastly, an exhibitions on his life and role in the city was held throughout August at both the Rochester Public Library and the University of Rochester. 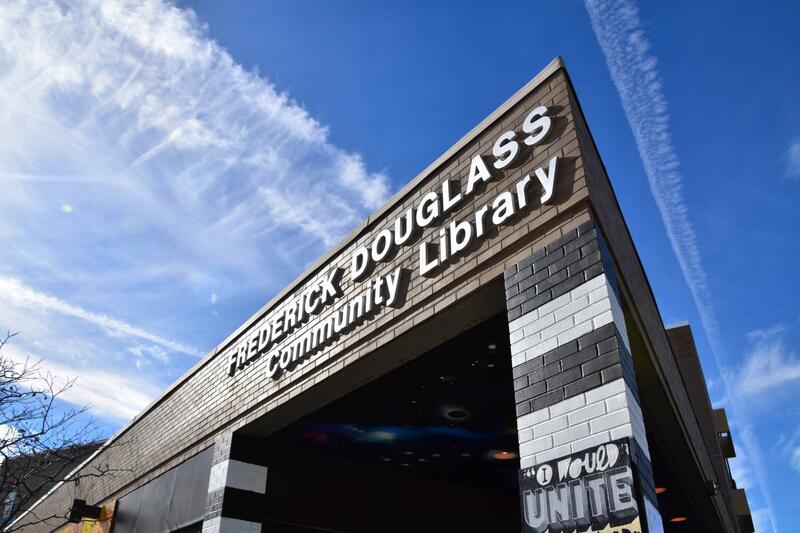 Another initiative, "Re-Energizing the Legacy of Frederick Douglas,” has been aimed at educating local children in Rochester community schools about Douglass and explaining his relevance today. Some of the students and staff at RIT have played a role in the bicentennial as well. At Imagine RIT 2018, visitors had the opportunity to write messages honoring Douglass and his wife, Anna, to be included in an art installation at the place where they used to live from 1848–1851. Professor Kelly Norris-Martin taught a higher-level communications course to involve students in the bicentennial preparations and events. In her course, students worked in groups to plan projects increasing Frederick Douglass's visibility in the community. Jonathan Ntheketha, the senior assistant director of Student Success and Engagement at the Multicultural Center for Academic Success, participated in the panel to help the students plan their events. Ntheketha himself has been taking his sons to visit new statues of Frederick Douglass, whom he dubbed "the rock star of Rochester and Rochester history." However, many of the initiatives at RIT seem concentrated in the liberal arts divisions; Ntheketha himself went to a liberal arts school as an undergraduate. Loryn Johnson, a third year Biotechnology student and the vice president of the Black Awareness Coordinating Committee, admitted,​ "I'm a STEM major, and so I don't necessarily go to classes where they would have an opportunity to speak about the work of Frederick Douglass." Many facets of Douglass’s activism have relevance on RIT’s campus, as well. For example, in a letter written to Harriet Beecher-Stowe, the author of “Uncle Tom’s Cabin,” Douglass claimed that a technical education would provide "the most telling, the most killing refutation of slavery." Several initiatives at RIT provide opportunities for students of color, and there is a drive to work with the local community on issues of social justice. "From co-ops and internships and research, there is a culture that's here, that really puts students squarely in their future, while they're still planning for their future. What that provides, particularly for students of color, is to have a realistic view of what that future might look like, if ... they've never seen it before," Ntheketha said. He went on to describe the McNair Scholarship program, which helps students prepare for graduate school, as well as the initiatives sponsored by the Howard Hughes Medical Institute Castle Grant, which supports a wide range of underrepresented groups. President David Munson also has high hopes for the future. One initiative that he touts is the Rochester City Scholars Program, which provides opportunities for local students in the Rochester community schools to attend RIT free of charge if they meet the university’s entry requirements. The program is not exclusively aimed at students of color, but in practice, most beneficiaries are such students. "From co-ops and internships and research, there is a culture that's here, that really puts students squarely in their future, while they're still planning for their future." Johnson admits that she faced some challenges when she first came to RIT. “I’m from out of state, so not only was I going to a different state, but I was going to a school where there weren’t a lot of people who looked like me,” she said. Nevertheless, she believes RIT does a good job with inclusivity toward minority students overall. She highlights a number of RIT’s organizations and initiatives,including the MOSAIC Center; the Higher Education Outreach Program, which provides academic and financial support to disadvantaged students; and the Louis Stokes Alliance for Minority Participation, which helps members of traditionally marginalized peoples to undertake research and internships. Johnson also believes that the different cultural and racial groups on campus could honor Douglass's legacy by collaborating more. “Sometimes there can be some segregation at RIT ... people just tend to hang out with people who look like them ... I also think it’s important to hear from people of other communities, whether the Asian community, or whether the Latin community or any other community here at RIT, I think that’s very important to just hear from all of them because their voices and their opinions are just as important as ours,” she said. Ntheketha also pointed out that "the people [Douglass] befriended were people who in that society at the time never really spent time together or had their voices elevated ... so here he is, this African-American man, and he's finding allies ... [and] also serving as an ally in the concurrent struggle with women ... He brought people together, and the work he did continues to bring people together." On a diverse campus like RIT, students have numerous opportunities to get to know those who are different from them, appreciate their struggles and triumphs and band together for the greater good. Although students and staff at RIT have plenty of opportunities to get to know Douglass and his contemporaries in social justice activism, this information is not always readily available to everyone. The hope is that, if more information becomes available to the students, they will take the time to apply it for the betterment of society. “[I]f I saw more emails ... or if there were events hosted at RIT, I think that would be great because that would allow me to supplement that information between when I have classes such as labs and things," Johnson said. Johnson in particular advocates the use of campaigns on social media platforms, such as Instagram, to increase awareness among tech-savvy young people. All in all, members of the RIT community are well-positioned to continue Douglass’s work and help promote his vision. One such figure is President Munson himself. “[G]iven that we’re in this region, and he spent a lot of time in this region, I think it’s important for people to understand that he was and is a colossal historical figure ..." Munson said. "[R]eally, on a national scale, he’s a historical figure. And because we happen to reside in Rochester at this moment in time, we have an opportunity to be more closely associated with his legacy, and to more easily learn about the things he accomplished." "Frederick Douglass saw a lot of the problems that existed in the world, and unfortunately since we haven't fixed the roots of these problems, his words still find root and meaning today ... It's sad that his words can directly apply to our society and our way of living today," he said. 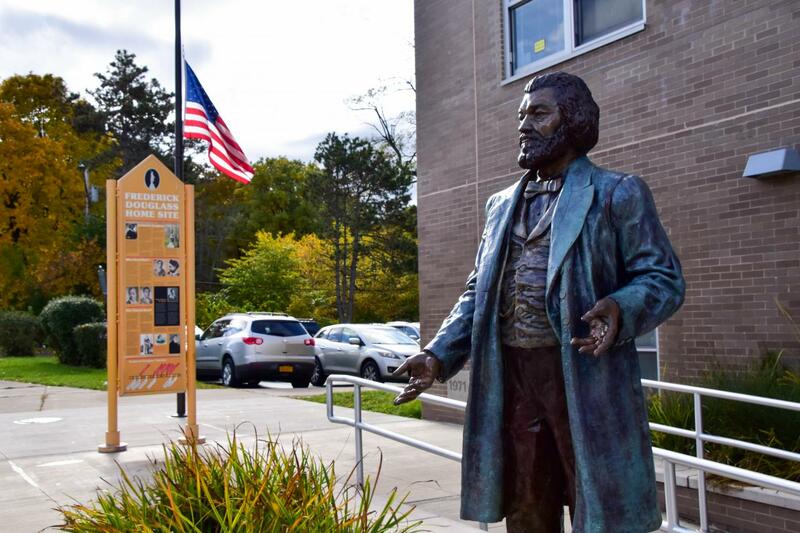 While they’re in the city Douglass loved so much, students at RIT truly have a unique opportunity to learn more about this fascinating historical figure, and to apply what they learn to community empowerment and organization initiatives in the Rochester community and beyond. Hopefully, Douglass's memory will continue to inspire people and prompt community organization in pursuit of social justice long after the year is over.